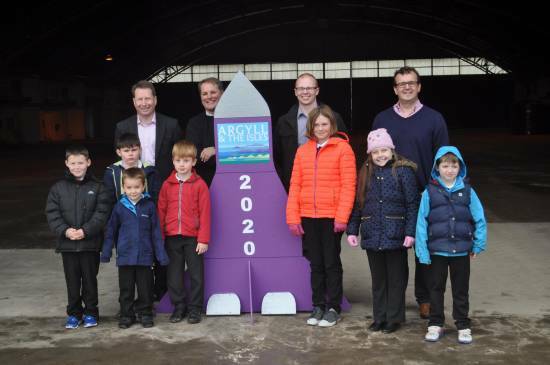 As one of 5 shortlisted sites to become the UK’s first spaceport MACC business park were delighted to host the launch of the Argyll and the Isles Tourism Co-operative (AITC) tourism rocket yesterday with a little help from Primary 1-7 pupils from Drumlemble Primary School. The ‘rocket’, is the culmination of months of work by the region’s tourism body, and is the local response to the national Tourism Scotland 2020 strategy. It is an ambitious plan, which has been produced in consultation with local businesses and national partners, along with tourism industry experts, and will signpost the way forward for tourism in the region from now until 2020.